Saying that Rainer Werner Fassbinder was a prolific filmmaker is quite the understatement. The man’s frenetic filmmaking pace allowed him to leave behind over forty films in his repertoire, all in the relatively short career that spanned a little more than fifteen years. The New German Cinema icon never slowed down and always knew what he wanted. Outspoken, brazen and brilliant, Fassbinder did not discriminate when it came to telling a story, hopscotching between plays, television and film throughout his career. Not only did the German push his own limits as to what he was cinematically capable of accomplishing, he also embodied the traits of a true singular filmmaker. Fassbinder did not pigeon-hole himself into the director’s chair, frequently performing the duties of writer, art director, actor, editor, sound mixer, producer and anything else that he could do. And fairly early in his career, he would do all of them at the same time, beckoning the idea that perhaps Fassbinder is one of the few true auteurs in cinema. But his work was often mired in a strangely delectable dichotomy of praise and controversy due to his strong French New Wave cinematic influences and unabashed thematic topics. Director Annekatrin Hendel challenged herself to try and shine a spotlight on Germany’s enfant terrible in her newest documentary, “Fassbinder.” Using archival footage and unprecedented access to Fassbinder’s friends and family, Hendel paints a picture more whole than anyone dreamed of doing. Indiewire had the chance to sit down with Hendel and cinematographer Martin Farkas to discuss how they won the hearts of their interviewees, the relevancy of Fassbinder’s films today and the autobiographical nature of Fassbinder’s stories. One of the most interesting aspects of the movie is that everything isn’t necessarily related to the clips and interviews. How did you decide that that was the style that you wanted? 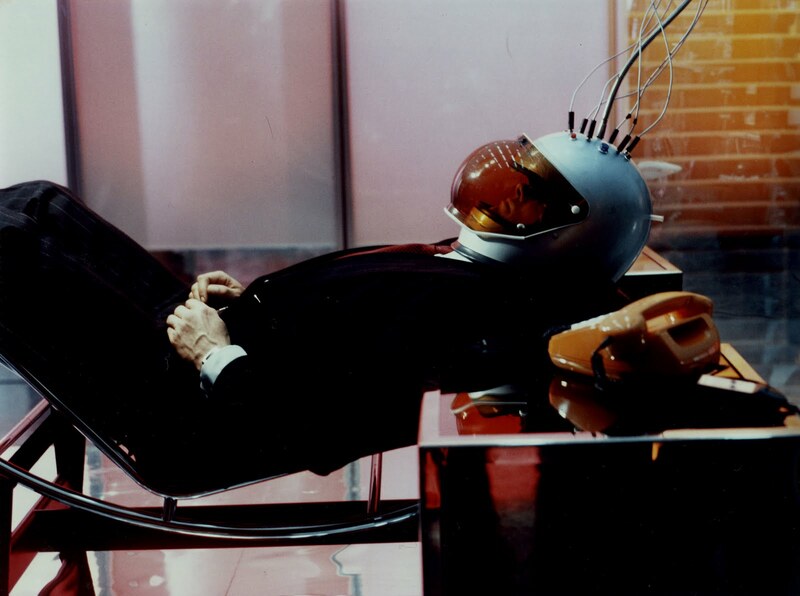 Annekatrin Hendel: Fassbinder made a film, “World on a Wire” and when he made it, it was meant to be futuristic. But it was about our time, or rather, what would have been our time. It’s Fassbinder’s only science fiction film and that room in the opening sequence is inspired by “World on a Wire.” He is looking at our time and how we would be dealing with issues in our society today. It’s like a virtual Fassbinder experience in a way. I didn’t know him personally but I had a relationship with his films so that extended to having a relationship with him as a result of his films. Martin Farkas: If you see “World on a Wire” the colors and the lights and even the set is very much inspired by this film. We are showing how Fassbinder saw 2016. So that is the point. We are there now, so we looked at how he would have looked at it. It is very interesting that he understood, or knew, or had an idea that everybody is connected via a wire. And no one knew about the internet when he died! This is very interesting that he had this impression and that he wrote this script. It’s fairly public knowledge that Fassbinder was a little crazy. He frequently discussed his personal life because he was a fairly open person during his career. How did you get in touch with so many of Fassbinder’s close friends and family? Hendel: With every film I make, I try to get as close to the person as possible. But it wasn’t easy to get close to them. Specifically with Irm Hermann and Margit Carstensen, the latter of who didn’t want to do it because she is old and was ill and she didn’t want to on camera. It’s my role to get as close as possible and to approach them in their way as much as possible. I had to do things their way so I could get close. The reason I ended up getting the interviews is because I ended up investing a lot of time in meeting them personally and visiting them without a camera, so there’d be no pressure. Then I tried to get them to be in a situation where they were as comfortable as possible, like visiting Irm Hermann while she was still on stage which is where she was working at the time. Hanna Schygulla was drawing and then she ended up doing a performance, reading poetry and painting a big portrait of Fassbinder so I invested a lot of time getting to know these people. It was almost a test run. Did your new personal relationships impede or influence the objectivity of the documentary? Hendel: All my films are subjective. Objectivity is not my profession. The film is my opinion of Fassbinder. It’s my version and my take on Fassbinder. What was the most difficult part of capturing Fassbinder’s essence and character? Hendel: Nothing [laughs]. It was not difficult for me to capture Fassbinder. The most important thing to me was what he meant to me as an icon and to have that reflected in the film. And also what his films meant to me when I was growing up. I grew up in Eastern Germany – this isn’t so relevant to the question [laughs]. Hendel: [Laughs] Well I was always very interested in directors or artists that were really edgy, and out there and taking risks. Like Rammstein videos [laughs]. Do you think the documentary would have worked as well as it did had Fassbinder not been as eccentric as he was off-screen? Hendel: I don’t think I would have made the film then [laughs]. I love people that are torn and have so many emotions and an attitude. I am interested in people who are on the fringe. I am not interested in boring people [laughs]. What I find fascinating is the way that Fassbinder worked with German history as well as his own personal history and how he fused them together. His films were heavily influenced by his personal life and so it was always very subjective. Fassbinder is the biggest filmmaker for me. German post-war history had never been told in such a brilliant and complex way. Farkas: I said yes! But for me it was interesting because when I was growing up I saw some of his films but at that age I knew there was something special but I wasn’t able to find a strong relationship with his body of work. And now when we worked together, I saw all of the movies again and I understood that I had to have a lot of life experience to read these movies, to understand what is in there. But he did it thirty years ago when he was a young man! At that age, I couldn’t understand how deep his body of work is. I needed more life experience. Even now [laughs]. Now that his films have become so much more accessible, how do you feel about people from my generation being able to stream his works? Hendel: It’s extremely important that it is available not only available on streaming services and new avenues because new fans get to discover his work but that it is being exposed to a younger generation. And they are also constantly being restored so it is very important. I made the film in the hope of inspiring people to love and examine his work. It’s not only for filmmakers. Farkas: On top of that, it’s an admiration of his personality of being somebody who is working with so much power. He has a great biopic waiting to happen. Hendel: A lot of people want to do the biopic but it’s complicated because of copyright reasons. The Rainer Werner Fassbinder Foundation holds the copyright. I worked closely with foundation because up until now there hasn’t been a feature length version, so we worked very closely with them to obtain the rights for the documentary. It’s a huge honor that they entrusted me doing the project. If the foundation were to give the biopic copyrights to someone, do you think they would lean more towards a German filmmaker to capture Fassbinder’s New German Cinema style or would they be more happy to give it a huge American director? Hendel: Oh, definitely the latter. It’s very interesting because there are many Fassbinder scripts that were never shot, like “Cocaine,” which is based on a novel by Pitigrilli. He died before he could shoot it but the foundation would love for someone to pick it up. It should really just be an amazing director though, it doesn’t matter where they’re from. Different people are interested but they’re waiting for now. Just waiting for that golden ticket. Hendel: There’s a lot of talk about remakes from his different projects and things might be in motion. I would love if an American filmmaker did decide to tackle a Fassbinder project. And I think the foundation would too. Before he died, Fassbinder actually really wanted to move here. He wanted to move here, work here and live here. 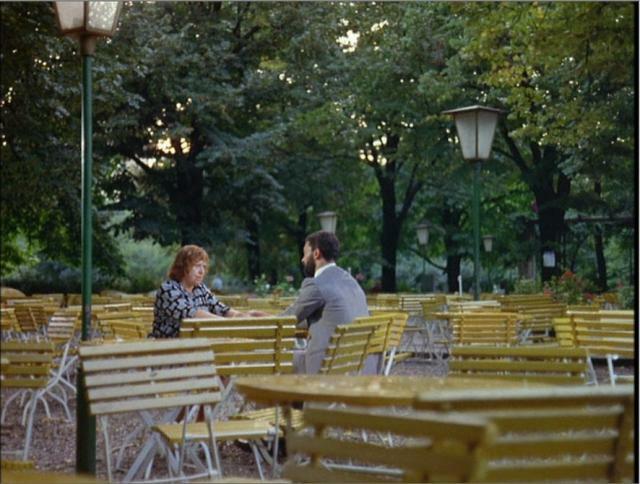 Fassbinder was such a staunch anti-nationalist and abhored xenophobia. “Ali: Fear Eats the Soul” is a reflection of how he felt he was being treated for dating Salem, a Moroccan man, and it seems like xenophobia is unfortunately becoming relevant again. 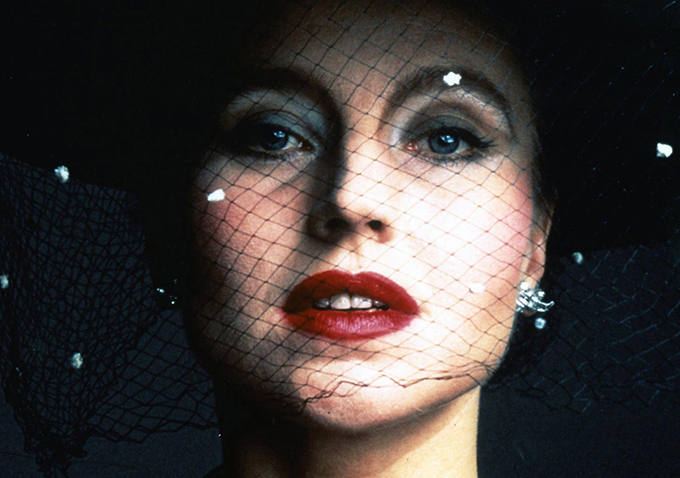 Do you think Fassbinder’s work would therefore be relevant in today’s age? Farkas: That’s a very good and interesting question [laughs]. Hendel: Unfortunately, these films have lost zero percent of their relevancy. Farkas: Yes, they’ve lost none of their relevancy to today’s issues. Hendel: The situation is much more extreme and worse at the moment because there is such a fear for the average citizen that something is going to be taken away from them. It’s much more extreme. The title “Fear Eats the Soul” perfectly captures the aura in Europe today. Farkas: Yes, this is such a relevant title today. “Fassbinder” premiered in the U.S. on April 8, during the KINO! Film Festival in New York.